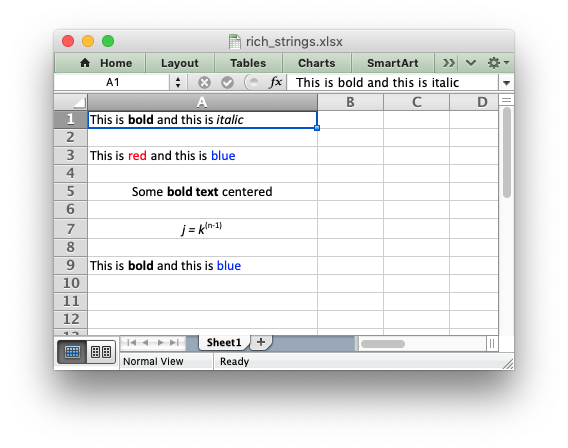 This program is an example of writing rich stings with multiple format to a cell in a worksheet. See the write_rich_string() method for more details. # i.e., strings with multiple formats. # Set up some formats to use. # Write some strings with multiple formats.